Breakfast is time for each of us to begin again. It is a time to refuel, rebuild and refresh. At Beresheet, an exquisite hotel nestled into the Negev, chef Boris Paukman recreates breakfast every morning. 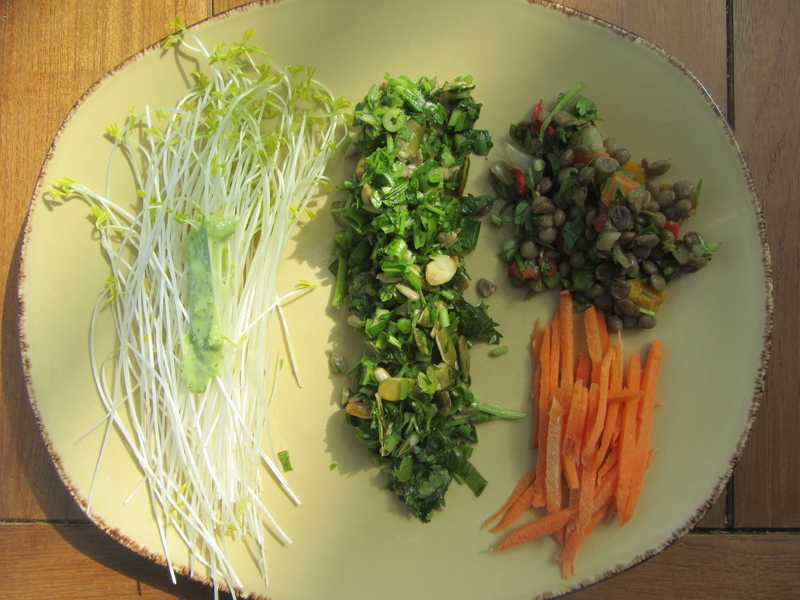 Here, sprouts with green tahini, parsley fatoush, lentil salad and raw carrot matchsticks.